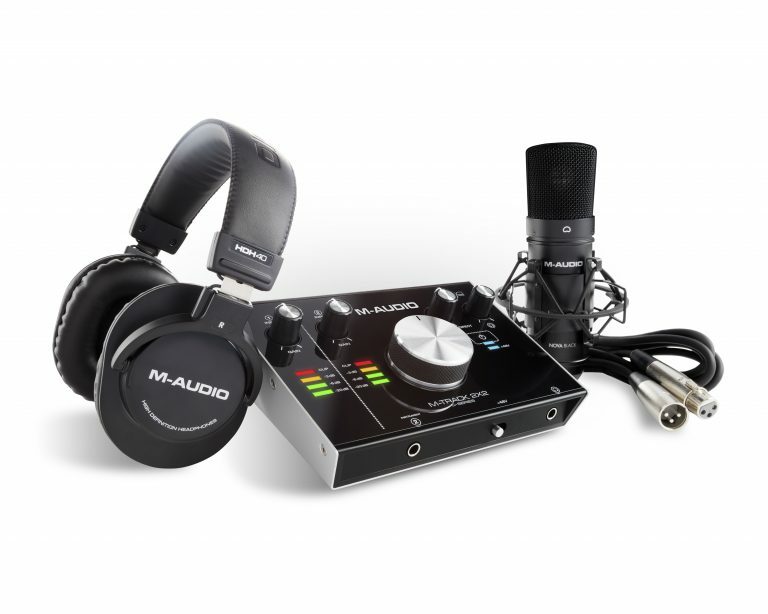 M-Audio have released an “all-in-one package” for the home studio enthusiast! It comes bundled with everything you need to get up-and-running including a M-Track 2X2 audio interface, Nova Black condenser microphone, premium HDH40 headphones and a software suite featuring AIR/Pro Tools plugins. With a version of Cubase LE to get your recordings down, it is a perfect starting place! Prices start from £164.99 and will be available Summer 2017. 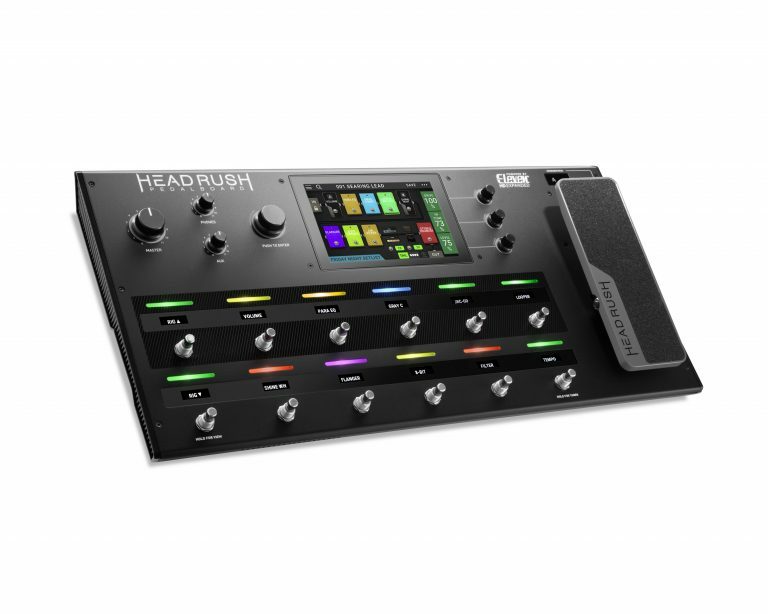 HeadRush, an innovative new manufacturer of Guitar Products have unveiled their ‘game-changing’ new pedalboard. Boasting a quad-core processor and it’s exclusive Eleven HD ExpandedTM DSP software, it delivers realistic-sounding & responsive amp cabs, mics and FX models all at the foots fingertips! One downside however, is the price, and at €1,099 it could have trouble fending off the Line6 POD HD500X, Boss GT-100 and some of the other multi-effects processors guitars have the option of choosing! 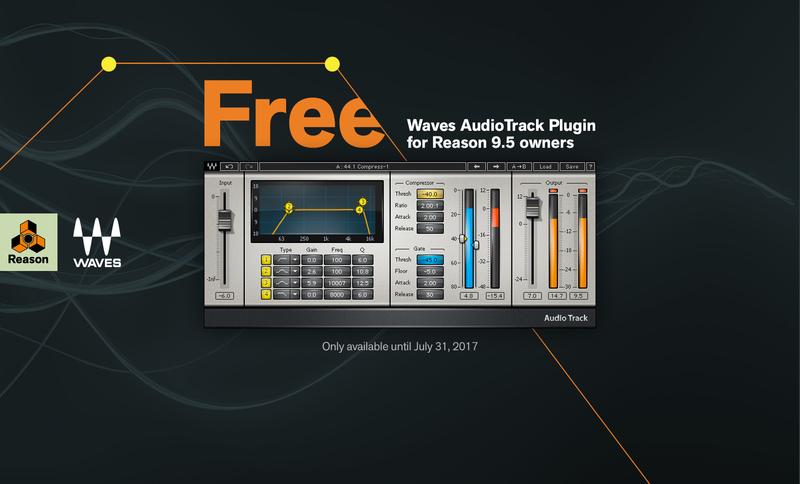 Waves teamed up with Properllerhead and are offering customers who have Reason Version 9.5 the chance to get Waves AudioTrack VST . Resons users can now use 3rd party plugins within version 9.5 and Waves were kind enough to offer the high-quality EQ, compression and gating plugin, which provides all our essential processing tools in one, handy to use plugin. Be quick as today is the final day to get it! Click here for more! Beatskillz’ Reelight aim to deliver tape-style saturation, compression, noise & hiss to you mixes. Offering low cuts and low boosts to clear out or thicken out your bottom end! It also features a “air” option to enhance the high end clarity if you so desire! Pick it up here for the introductory price of $39! And finally one for the guitarist out there, TabBank have created a new iOS app for simplified Tab creation. You can type in lyrics and chords from a plain-text format and you can edit and print your tabs straight from your phone! Check out more below!